As a global platform for collaboration and professionalism, the Upwork Community is here as a place for interesting, thoughtful and helpful conversation. With active participation, the Community can be a great way to make friends, share information, and gain a more engaging experience on Upwork. We want you to come here to have fun and we hope you’ll find some useful information along the way too! Every great Community needs a few guidelines and we have ours listed below. As a Community Team, it’s our responsibility to ensure we’re fostering the best possible Community for all members and the Upwork brand. Members are asked to treat each other with respect and behave in a professional manner. That being said, we draw the line on a few areas and behaviors that jeopardize the well being of our Community and the members within it. Please familiarize yourself with the complete set of guidelines below. If you come across anything in the Community that appears to violate these guidelines, use the “Report Inappropriate Content” option to let our team know about it. Posting in a language other than English (unless on a language specific board). Posting advertisements for any products or services. Including your own or another person’s or company's contact information and/or email address in a post for any purpose. Including names of persons or companies (or other identifying information) in an accusation of misconduct, incompetence or other wrongdoing. Posting email content, chat transcripts or other private communication. Including profanity, vulgarity, hate speech, insults, disruptive or hostile comments, interpersonal disputes or threats of violence in a post. Discussing or reposting deleted posts or warning letters or discussion of sanctioned or no longer registered members. Posting deliberately disruptive and negative statements about Upwork, Elance, or oDesk. Encouraging others to violate Upwork Terms of Service. Attempting to impersonate Upwork staff or other Upwork members. 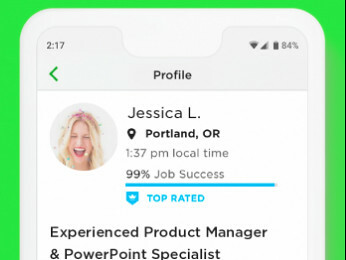 Posting material that in any way violates the Upwork User Agreement or other Terms of Service. These guidelines are not exhaustive and the Community moderators will have full discretion to remove any content (which includes downloadable links, third-party apps and extensions) they deem inappropriate. This includes messages sent through the private message area of the Community. In addition, the moderators are not obligated to remove any content, even if it violates the Guidelines. You should understand, violating these Guidelines may have consequences ranging from a warning to banning. On occasion, we will move discussions if they belong in a different category. We will also close/remove duplicate discussions and/or replies that we deem to be inappropriate or disruptive to the community, this also includes revoking kudos given on those posts. Our intention is not to censor, but to foster an environment that is easy to use and productive for all those involved. Can you all make this a stickied post at the top of the Community Basics forum. It should be the first thing people se when they drop into this area, right? Are there guidelines as to Freelancers referring Upwork clients to each other? 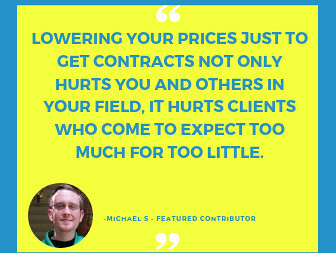 Specifically, I am a ghostwriter and more and more Upwork clients ask "Can you help me market my book?" (this is asked by business people writing a first, second book in their area of knowledge, mostly). I can't; don't know how. But it would be nice to refer them to two or more Upwork freelancers who can! Then they could launch, I presume, an Invitation to those people. I am by no means looking to cash in on these referrals. I would love to network and get on Chat with these book marketing pro's, though, to see if there is synergy. Just want to do it (if allowed) according to the rules. If your client is asking for a suggestion, you can surely send them a link to a profile of a freelancer who can help them with the task. Your posts in the Forums are permanent (unless they are deleted by Upwork for violation of our policies). Your posts should be helpful, constructive, and encouraging when voicing dissent or criticism. Moderators may take certain actions to keep the Forums organized and helpful for everyone. Such actions are not up for public discussion. Upwork reserves the right to remove any inappropriate content in the Forums at any time. You may lose your posting privileges if you violate any community policies. Posting in a language other than English. Posting advertisements or promoting any products or services. Soliciting users to participate in interviews, contests, surveys or other research studies. Posting Inappropriate content, this includes but is not limited to profanity, vulgarity, hate speech, insults, disruptive or hostile comments, interpersonal disputes or threats of violence in a post, and material (graphic or text) that is obscene, pornographic or adult in nature. 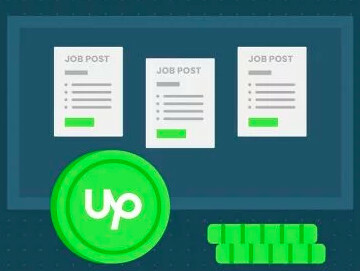 Posting deliberately disruptive and negative statements about Upwork. Being disrespectful towards other members. Personal attacks based on a user's English, lack of knowledge, experience of Upwork platform or any other disparaging comments will not be tolerated. Posting consistently negative content (for example, “laundry lists” or “rants”) without recommending or suggesting a potential solution. Thank you for this post, it does help. However, I do need clarification on one item as I am new here. Is it appropriate to include my website when I am including a cover letter replying to a job posting? So when I see a job posting I am intersted in I would like to have them check me out further by going to my website but I don't want to ruffle any feathers.